The UBC men’s basketball team picked up a pair of wins over the Manitoba Bisons in Winnipeg over the weekend: a resounding 23-point blowout and an overtime thriller. Veteran sharpshooter Manroop Clair got his first look at a starting role after coming off the bench to open the season. He saw major floor-time and picked up an impressive 53 points over the weekend. The team has won four straight games, and has quietly made its way into second place on the Canada West table. The women’s basketball team split a double-header with the Bisons, moving to 3-3 on the season. Third-year forward Keylyn Filewich continued to be the engine of the team, posting back-to-back double-doubles. She led the team in minutes in each outing. After a slow start to the season, the team finds itself in the middle of the Canada West pack. Not a bad start for either side so far this year. 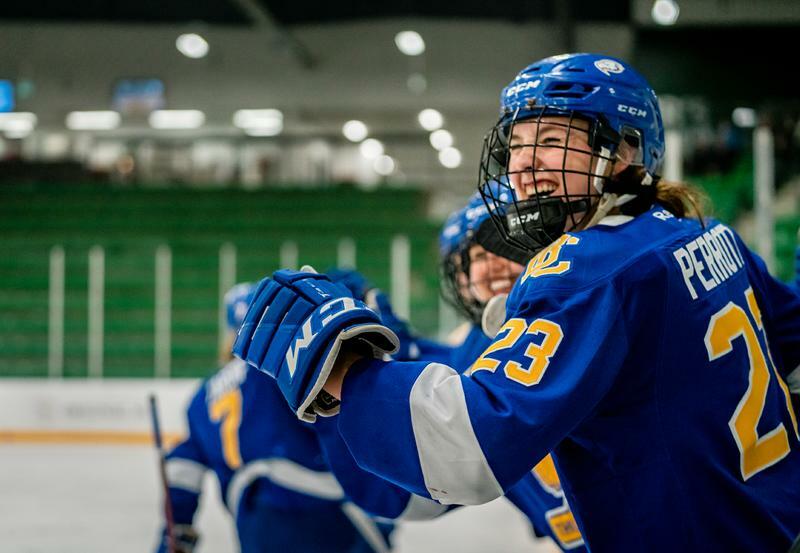 The Thunderbirds women’s hockey team played a pair of double-overtime games in a pivotal series against the Saskatchewan Huskies in Saskatoon on Friday and Saturday. The teams entered the weekend separated by just one point in Canada West, with the Huskies just clinging to a third-place spot over the T-Birds. In Friday’s match up, the ’Birds would manage some last-minute heroics to take the game to overtime, only to be foiled by the Huskies in OT. Turning the tables on Saturday, Hannah Clayton-Carroll would play T-Bird hero with the OT-winner in game two — snapping the teams’ three-game losing skid. The team leaves the weekend no further ahead in the league, though, as they still sit in fourth place by just a single point. After a hot start, the UBC men’s hockey team has had a rocky few weeks that have seen them lose three straight and five of their last six. Thanks to their winning-streak to open the season, they find themselves back to just .500 overall. This weekend’s double-header matchup with the Saskatchewan Huskies saw them drop game one 6-1, and featured a heartbreaking loss on Saturday as the team conceded three goals in under two minutes in the third period. They would go on to lose that one just 3-2. It was a big week for the UBC men’s golf team, as they picked up a pair of tournament wins and continue to dominate their competition. Rookie Thunderbird Andy Kim earned his first career university tournament-win on Monday, capturing the top spot at the 2018 NAIA Men’s National Preview tournament in Mesa, Arizona. Logan Carver and Zaahidali Nathu rounded out a 1-2-3 performance for UBC, which helped the group cruise to the team title — their third of the season following wins at the Northwest Christian Invitational and the College of Idaho Invitational in September. The ’Birds were back in action again on Tuesday as they captured the team title at the Desert Showdown in Buckeye, Arizona. Nathu followed-up his third-place finish a day prior with the individual title at the event, one of four Thunderbirds with a top-ten finish (Carver, Kim and Christopher Horton rounded out the group). The golf team has amassed four tournament titles and six podium spots in six outings so far this season. Though they’ve been red hot this fall, they’ll look to keep that magic in hibernation through the winter months, as their next tournament is not slated until March. This weekend marked a return to U Sports competition for the UBC cross country team, after spending the last two decades competing in the NAIA. Though the team placed out of medal contention in both the women’s and men’s divisions, they each picked up Canada West conference banner for their performances. The women’s team claimed the Canada West title, along with a fourth-place national finish. Nicola Symonds was named a Second Team All-Canadian, following her 14th-place finish, and a First Team Conference All-Star alongside teammate Sarah MacArthur. The solid finish would be combined with individual awards: Gabrielle Joffe was named the Canada West Women’s Rookie of the Year, and Norm Tinkham would take home Canada West Coach of the Year honours. The men’s side would finish seventh in the nation, taking home Canada West bronze. In typical fashion, John Gay had a particularly strong outing for the Thunderbirds in what will be the final meet in his highly decorated career with the team. He finished less than a second out of individual medal contention, but his performance earned him a spot as a First Team All-Canadian and First-Team Canada West All-Star.